Greentherm | Heat Pumps in Ireland. 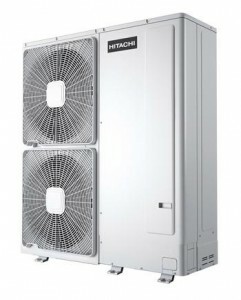 Greentherm offer the Hitachi range of Yutaki air source heat pumps. These cutting edge products are capable of Coefficient of Performance (COP’s) of up to 4.28 and range from 7 to 14kw output in single phase, with larger models available in 3 phase. These units have been designed to meet the needs of the Irish market and do not require annual F-Gas regulation inspections. High COP’s of up to 4.28, giving excellent energy efficiency. 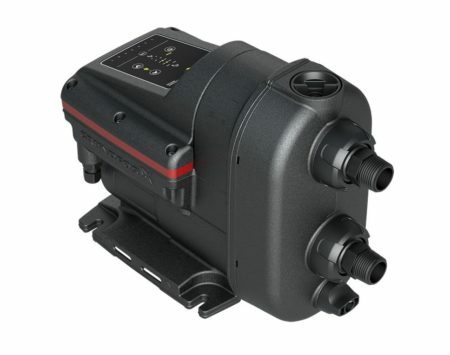 Inverter gives variable output allowing the system to respond to varying heat demand. Low cost operation when compared to single-speed heat pumps.. 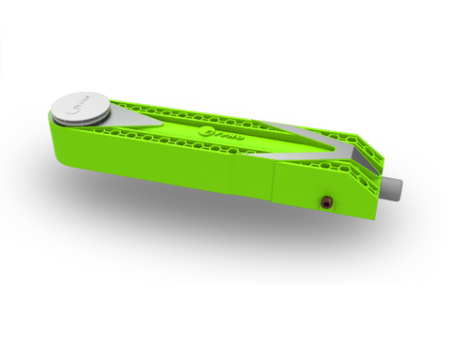 Suitable for installation into new or existing buildings. High service reliability backed by 5 year manufacturer’s warranty. Screed drying function provides stable and rapid screed curing. Contact us at Greentherm for prices, or to arrange a consultation for an install. 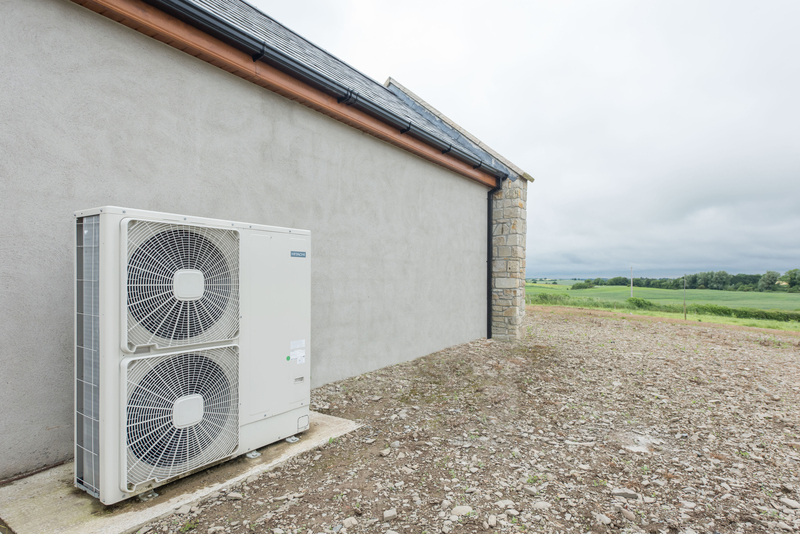 What is a Heat Pump exactly? If you have a fridge in your home, you already have a small heat pump. Heat pumps for domestic heating operate on the exact same principals only, instead of drawing heat from inside and releasing it outside, a domestic heat-pump takes ambient heat from some source outside your home, and releases it inside. The heat-pump contains a liquid refrigerant, which is encouraged to expand to a gas inside an evaporator. When it turns to gas, it draws in ambient heat from the atmosphere. This gas is then fed to an electrically driven compressor, which turns the gas back to a liquid. Compressing the gas back into a liquid causes it to release the heat it absorbed when it vapourised. 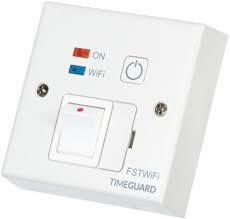 This heat can then be captured and used to feed a domestic hot water, or central heating system. The amount of heat energy released from the refrigerant gas is higher than the amount of electrical energy used to drive the compressor. For the Hitachi Yutaki heat pumps offered by Greentherm, for every 1 kilowatt of electrical energy supplied, up to 4.28 kilowatts of heat can be returned. This is the coefficient of performance (COP) of the heat pump. The basic rule of heat pump efficiency is that, the greater the temperature difference between the cold and hot side of the pump, the less efficient the heat pump will be. The compressor has to work harder and harder for less and less benefit. Less heat will be output per kilowatt of electricity. It can be seen that, the lower the required temperature from the heat pump, the more energy efficient it will be. Ideally, a heat pump system would be combined with either underfloor heating, or fan-coil radiators which can run at lower temperatures than conventional wall-mounted radiators. The Hitachi Yutaki heat pumps offered by Greentherm are more than capable of achieving hot water temperatures of 55-60 degrees, even when the outside air temperature is below freezing. The climate in Ireland is well suited to heat pump use throughout the year as it rarely drops too far below freezing during winter. The Yutaki heat pump is rated to temperatures of -20C. The compressor and its controls. The compressor is the heart of the Heat Pump and is key to the efficient performance of the device. High pressure scroll compressors are the most efficient design available on the market today. Hitachi’s Yutaki series of heat pumps offered by Greentherm come fitted with a Hitachi scroll compressor, rather than an OEM part from another manufacturer. Heat Pump compressors can have either a fixed speed output or be throttled by an Inverter or Variable Speed Drive. A VSD allows the pump to respond to variable heat demand in a similar manner to a gearbox in a car allowing it to adapt to a wide range of speeds and driving conditions. A heat pump without a VSD or Inverter must run at a fixed speed, which is both less efficient, and requires the compressor to be turned off and on, increasing wear and tear. A VSD or inverter therefore, ensures the, efficiency, durability and reliability of your heat pump. Greentherm heat pumps are all equipped with a variable speed control as standard, and come supplied with an industry leading 5 year warranty. Greentherm-supplied heat pump systems will always include a thermal store. The thermal store acts as a form of heat battery. It charges up while the heat pump is running, absorbing and storing heat until it needs to be used within the home. This allows the system to run at its most efficient, or at times when electricity is cheaper, saving you money. In most cases, for efficiency reasons, this thermal store will take the form of a large tank of water. Having a thermal store allows for both a fast response from the central heating system when heat is required and allows us to control the heat pump more effectively, as all it has to do is maintain the store temperature, rather than cycle the heat pump each time heat is required in the home. Fewer start-stop cycles on the compressor reduces wear and tear. The other main benefit of the thermal store is to provide a source of heat for the heat pump’s defrost cycle. As part of its normal operation a layer of ice can build up on the cold side of the heat pump. A defrost cycle draws on heat from within the house to melt this ice and allow the heat-pump to continue operating. Without a thermal store, the heat pump would have to draw it’s defrost heat directly from the central heating system or domestic hot water, cooling it down. If hot water is needed during a defrost cycle, it will not be available as all available heat is being used to clear the pump of ice. Some installers will supply this defrost heat using a booster immersion, defeating the purpose of having a heat pump in the first place. Because Greentherm heat pump systems are supplied with a thermal store, they are not normally fitted with a booster immersion. A thermal store is a necessity on any well-designed heat pump central heating system. It ensures that hot water and central heating will always be available, while allowing enough heat to be drawn off to defrost the heat pump as required without interrupting the supply of domestic hot water. A dedicated thermal store will ensure both the reliability of a heat pump, and that hot water will always be available when it is needed. Some of the information on this page is specific to Air-to-Water Heat Pumps, however Geothermal heat pumps operate on the same basic principal. However, instead of taking their heat source from the ambient air, they take it from a loop of antifreeze fluid pumped through a trench in the ground outside your home. The advantage of a Geothermal system is that there is no requirement for defrost cycling, and are for the most part unnaffected by extremes of temperature. The disadvantage is the cost of installing and maintaining the ground loop for the system. Greentherm can advise you on what’s the best option for your home. Heat pumps in combination with other heat sources. There is no reason why a heat pump cannot be used in conjunction with other sources of heat. Having a thermal store allows for multiple heat sources in a home to be combined in a way that allows them to complement each other, increasing the efficiency of your heating system. Contact us at Greentherm for the best advice on integrating your heat pump with other sources of heat.